Spring Break is April 15th-April 22nd! 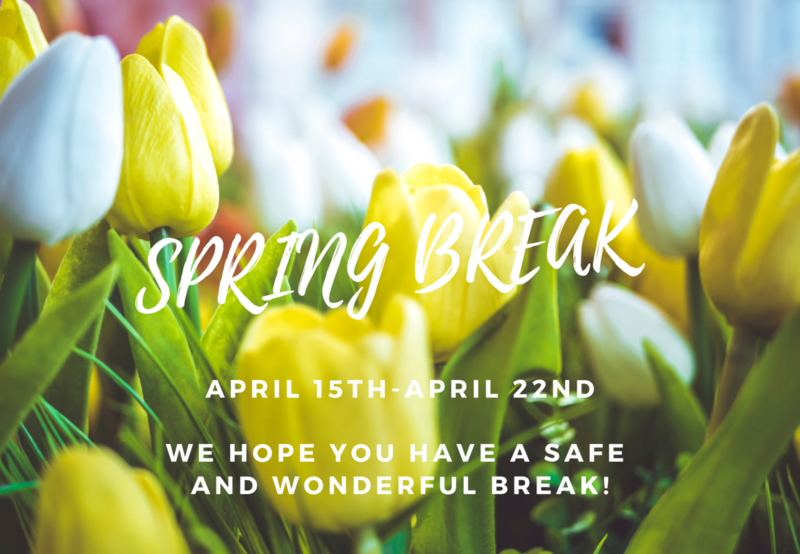 We hope you all have a safe and wonderful break! We look forward to finishing this school year out strong!